Peaceful Playgrounds | Recess Doctor Blog: Do you have a strong Coordinated School Health Program? Do you have a strong Coordinated School Health Program? The Centers for Disease Control and Prevention’s (CDC) Division of Adolescent and School Health (DASH) is looking for strong district-level coordinated school health programs (CSHP). DASH is interested in gaining a better understanding of the essential characteristics necessary for program success. To accomplish this, DASH will be conducting site visits with selected CSHPs to learn more about them. DASH may offer assistance in evaluating these programs based on these site visits. We are asking for your assistance in identifying school districts that are implementing strong coordinated school health programs. 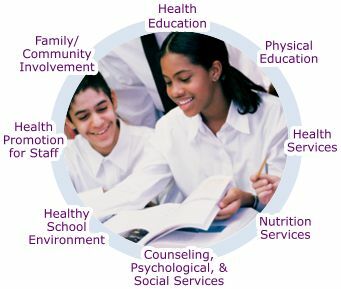 A coordinated school health program brings together school administrators, teachers, other staff, students, families, and community members to assess health needs; set priorities; and plan, implement, and evaluate school health program activities. A CSHP focuses on integrating efforts across eight interrelated components: health education, health services, nutrition services, health promotion for school staff, physical education, mental health and social services, healthy and safe school environments, and family and community involvement. To obtain a nomination form please contact Seraphine Pitt Barnes, Ph.D. (e-mail: spe6@cdc.gov, 770-488-6115 phone, 770-488-6156 fax). Please submit nominations to Seraphine Pitt Barnes, Ph.D. (spe6@cdc.gov). The submission deadline is Friday, October 31, 2008.